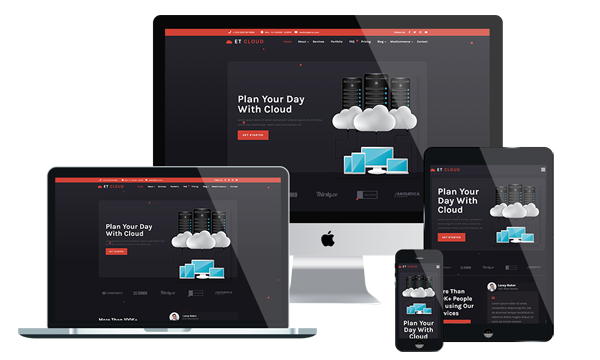 ET Cloud is a modern Hosting WordPress theme that aims to promote and showcase your hosting brands, relating equipment and services, hosting companies equipment and services, and more. This theme has been developed on the powerful Genesis Framework, coming with vibrant color styles, elegant background and intelligent high-quality images, therefore, it is easy to get an awesome look for your site without paying much effort and time. Shopping cart supported by Woocommerce, everything relating to sell activities will be well-controlled by you from backend, conveniently and efficiently. Besides, ET Cloud is fully responsive, which brings to your site an entire flawless layout on any kinds of mobile device. You can customize the theme easily by the powerful admin panel. This WordPress Hosting theme will be a good choice if you want to create a perfect look for your site!